Within four days after the first public reports of the major flaw in internet server security known as Heartbleed surfaced, mass attacks searched for and actively targeted vulnerable systems. The catastrophic flaw allowed attackers to mine cryptographic keys and passwords, and some experts argued that Heartbleed was the worst vulnerability discovered since the dawn of the Internet. Still, months after the initial rush to patch systems, approximately 50 percent of potentially vulnerable servers have been left unpatched, making Heartbleed an ongoing, critical threat. And every year widely publicized incidents of cyber breaches occur, like the ones that have recently plagued Target, JP Morgan, and UPS. With so much of our daily lives wrapped up in technology, weaknesses in cyber-security may be the greatest threat of our time. 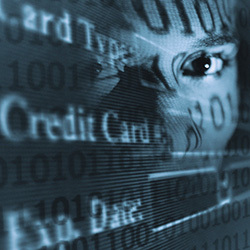 At risk are our financial accounts, our personal privacy, and our identity. Sadly the potential for identity theft is not an exaggerated and hollow threat; it’s a reality of our day and age. While it’s impossible to prevent every instance of identity theft, you can protect yourself, your family, and your assets. Abenity has partnered with IdentitySecure to offer our members state-of-the-art, custom identity protection products. Recent studies from Towers Watson, an insurance consulting firm, shows that Identity Theft Protection is the #3 fastest growing voluntary benefit being requested by employees this year. And that’s no surprise – every year we spend more time online, we make more purchases on the internet, and we place more trust in the technology integrated into our everyday lives. Our credit cards, social security numbers, drivers license information, health and medical records, bank account information, tax records, and account usernames and passwords are all stored in vast and disparate internet databases. A weakness in even one of these databases could spell disaster for our personal information and financial livelihood. It’s Abenity’s goal to help our members lead more rewarding lives, through the perks and discounts we provide. But perhaps our most important responsibility is to help members protect what they already have. Health insurance, car insurance, and homeowners insurance protect the people and physical belongings most dear to us. But Identity Theft Protection defends those assets that we don’t see: our financial information, our digital assets, and our personal identities. In this 21st Century world, we need to protect against 21st Century threats. We are proud to partner with IdentitySecure to offer the most cutting edge and affordable identity theft protection available inside the Abenity Perks Program. Log in today to learn more and get started. IdentitySecure guards against all of the main types of identity fraud, providing truly comprehensive protection you can count on including Daily Credit Monitoring, Identity Verification Monitoring, and Fraud Assist Toolbox.